There are many kind of Nagoya special product. 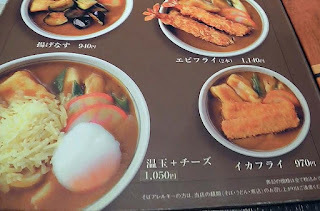 Curry Udon is one of them. 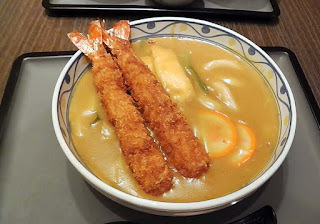 Curry udon, you can eat in all over Japan. I was decided to go see a movie in the evening to the cinema of Miyoshi. Eat dinner before we see the movie. The cinema located in the shopping center. Shopping center has several restaurants. This curry udon restaurant is one of them. This curry udon restaurant is very popular. So, many people come to this restaurant in during the day of holiday. However, today is a weekday evening. So, we did not wait. This restaurant is famous for curry udon is delicious. It have a lot of other menu. I chose the curry udon. By look at the pictures on the menu, I chose to topping the fried shrimp. After a while, curry udon has been carried. Curry of this restaurant is rich. However, it does not hot. 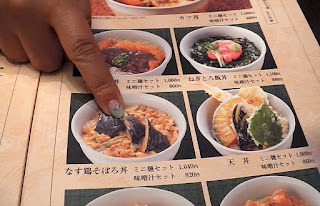 It is possible to counter the taste of strong curry. Quality of Udon itself is very high. And good taste, good texture. 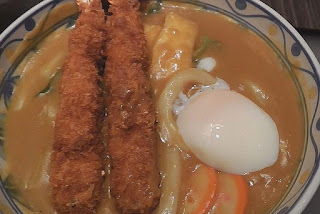 Rich and thick curry Udon. It will match very much. 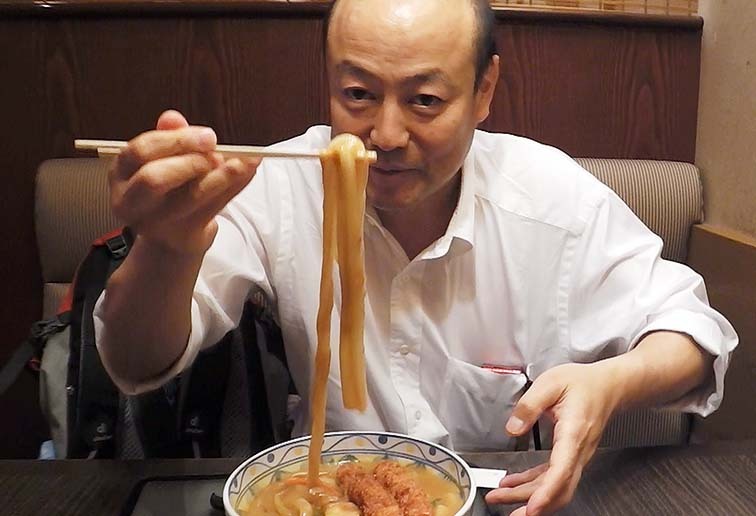 Japanese usually sips when eating noodles. But strong sipping curry udon is dangerous. Curry udon is very hot. I will burn your mouth. In addition, Curry is scattered when sip strong. There is a risk that curry soup is adhere to the clothes. When it is white shirt, you will not remove. It is a very delicious curry udon. I chose the fried shrimp for topping. People of Nagoya, love the fried shrimp. Fried shrimp is Nagoya specialty. This shrimp is also very delicious. Fried shrimp of curry taste. I was good to select the fried shrimp. I ate early first one. The second one is late. 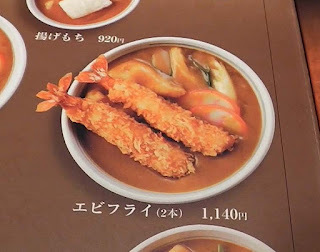 Taste of curry is to soak fried shrimp.